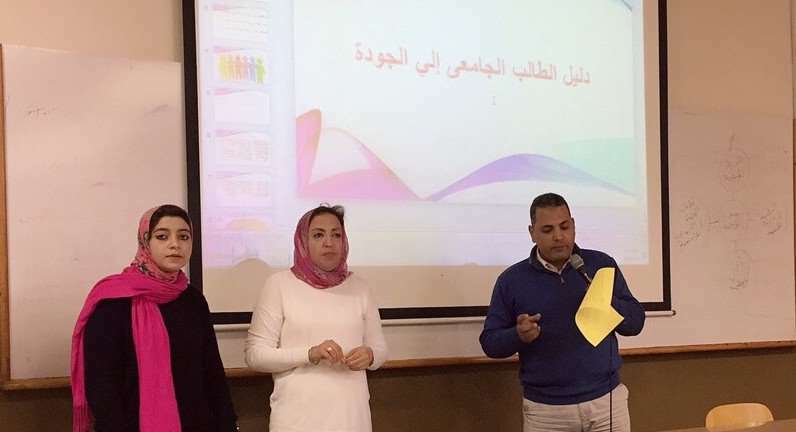 In the light of enhancing the quality of the educational process, the Quality Assurance Unit at the faculty of Mass Communication held a workshop entitled as “The Role of Student in the Quality Assurance Processes” to raise the students’ awareness of the Quality Assurance process: vision, mission, quality assurance in environmental analysis and the importance of quality assurance for the faculty students. 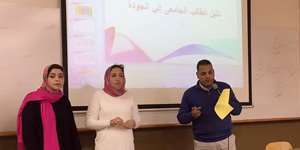 The workshop was given by Dr. Saleh Al Araky, the Director of the Quality Assurance Unit at the faculty of Mass Communication; Dr. Enji Mahmoud, the Deputy Director of the Quality Assurance Unit and a developmental quality assurance coordinator at the faculty of Mass Communication and Mrs. Noura Al Dessouky, a Demonstrator at the Journalism Department and a developmental quality assurance coordinator. 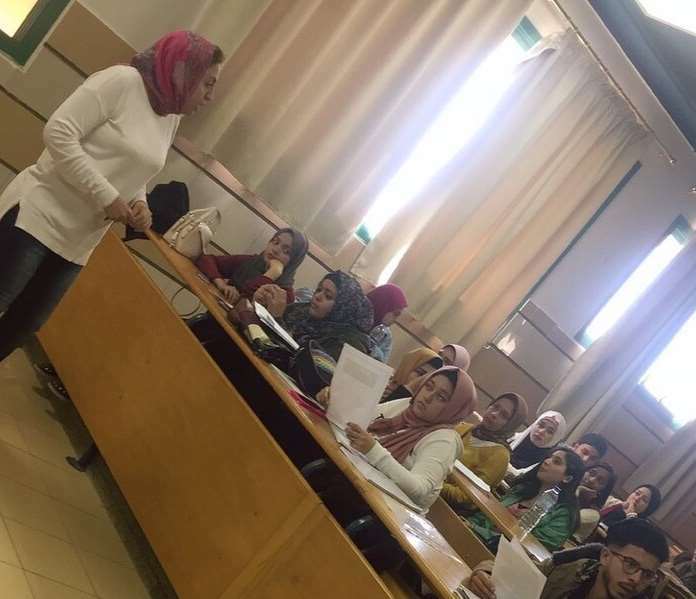 A substantial number of the faculty students attended the workshop where they were given handouts on the material being covered during the workshop including the vision and mission of quality assurance and the role of the student in the educational quality assurance at the faculty.